Customer Picture Number 101 Selected. Cool Car decals applied. 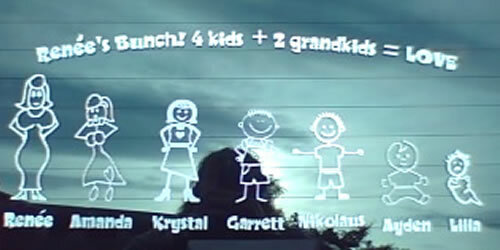 A unique family decal. I've did thousands and each and everyone is unique. Especially this one. Cool header!